Not all working dogs in Afghanistan sniff explosives or walk patrols. 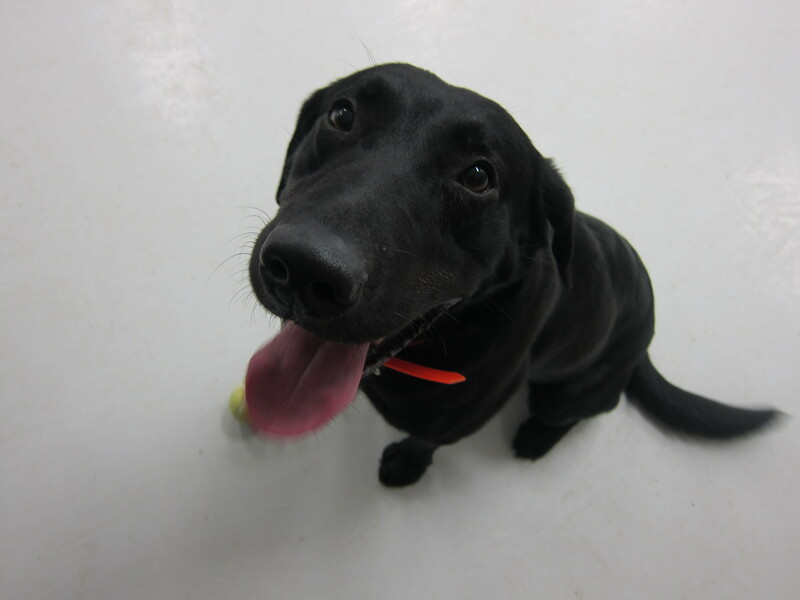 Steel, a three-year-old black Lab, was trained was an Improvised Detection Dog (IDD), skilled at sniffing out explosive devices. But when he arrived at Camp Leatherneck, Afghanistan, his trainers realized that his paws were too soft and sensitive for patrols over rugged, rocky terrain. He would never patrol with his infantry unit, 1st Battalion, 2nd Marines. Instead of being sent back to the States, however, Steel was sent over to Camp Leatherneck’s Concussion Restoration Care Center–its consolidated medical facility for sick, injured and wounded troops. Steel would become the base’s only working morale dog, given the job of playing with patients and putting them at their ease. He’s the second morale dog to work at the center: Sgt. Joe, the first, was retired from IDD duty after five deployments when he developed a sensitivity to loud noises. His handlers worried he might have PTSD, and brought him to the center to do a less stressful job. 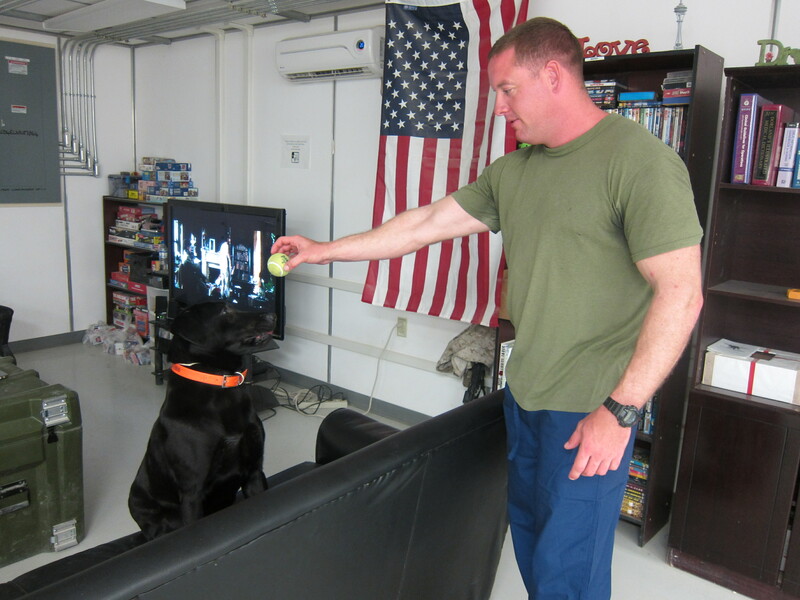 Like Joe before him, Steel is still considered a military working dog; only now, work means fetching tennis balls, being petted, and providing a calming presence for Marines who might be recovering from battlefield injuries or struggling with combat stress. Sometimes patients stop by informally to play with Steel; other times, he’s part of their treatment plan. 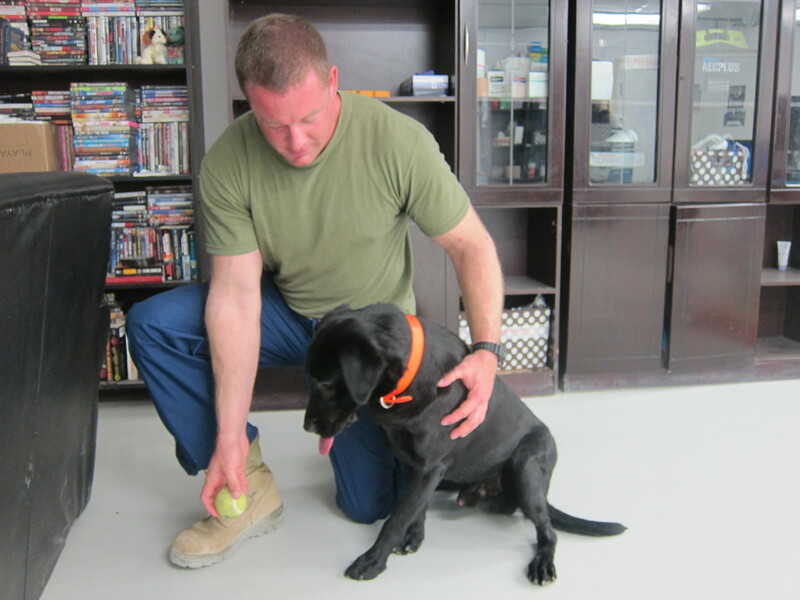 One Marine who has benefited from the morale dog program is Sgt. Kyle Edwards. Edwards, a Motor T Marine with Headquarters and Service Company, 1st Battalion, 9th Marines, was injured Feb. 13 while on a “wrecker run,” sent to assist another truck that had been hit by an IED. But during the run, Edwards’ mine-resistant ambush-protected vehicle ran over another live IED. The force of the blast carried the 15-ton vehicle 50 feet through the air, Edwards said. He was life-flighted away from the scene of the blast with burns to his face and neck and a severe concussion. Edwards spent four days in the Camp Leatherneck concussive care center. He was back at work with his unit within two weeks, but he found the blast had left him jumpy and tense, and he had bad headaches for weeks. So he would return to the center as a visitor. His unit’s deployment over, Edwards is going home in a few days. 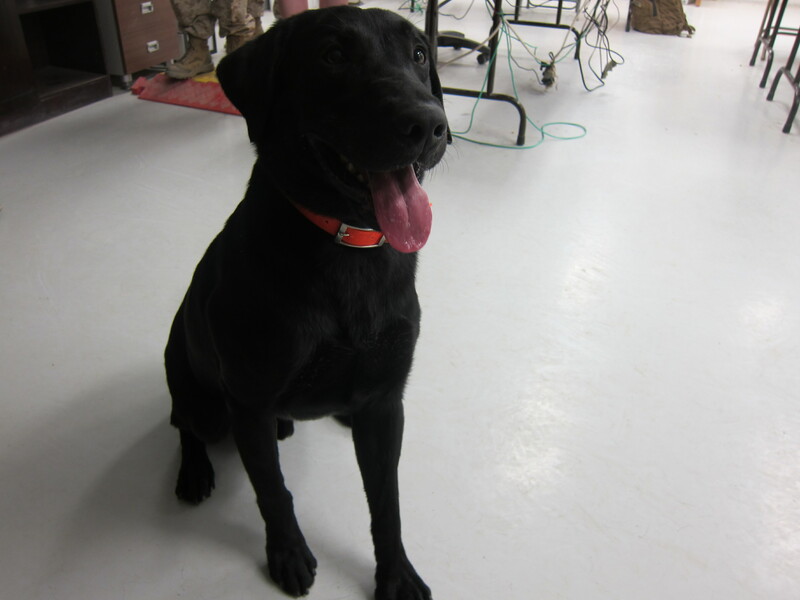 Steel will likely keep working as a welfare dog in Afghanistan until this fall. 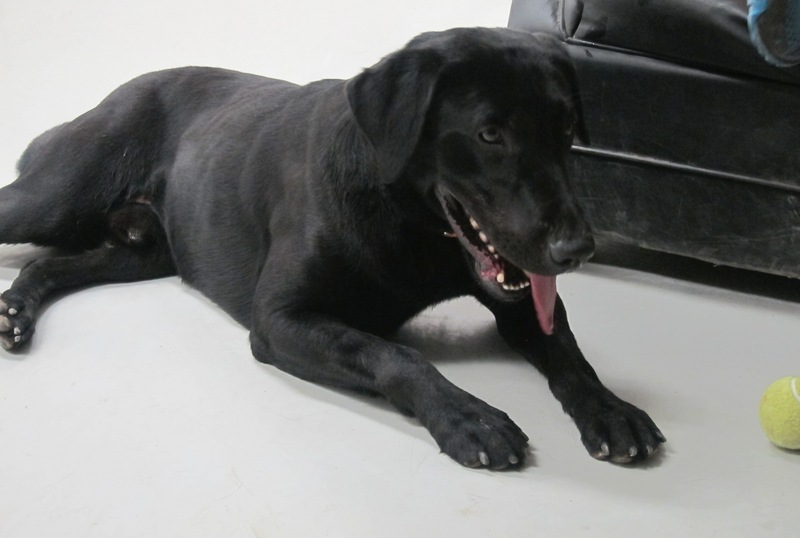 After that, his military working days will be over and the Marine Corps will make him available for adoption. Something tells me it won’t be hard for him to find a good home. I was Joe’s (N726) handler who was the therapy dog before Steel. I was told I could adopt him this spring but have been ignored by k2 solutions who owned him. If anyone has any information on him at all I would appreciate it I am supposed to be first in line to adopt him. Please help!